Always told when the best Bingo Games are Staring Soon at Mecca Bingo – as soon as you log on, you can see it on the first page! All 75 Ball, 90 Ball games – right across all rooms (Jump & Jive, Lucky 7, Deal or No Deal Bingo, Dancing Queen, Britain’s Got Talent etc ) are listed and detailed! Keep in mind that X Factor Bingo is totally exclusive to Mecca Bingo. 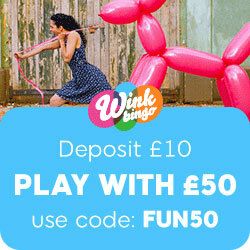 The best, latest and most unique of promotions – 1,000’s of prizes to be won including 5 Minis. And the great Gold Mine Escalator Jackpot – began operating on the 9 May. The ball count is increased until the big prize is gone! Log onto Mecca Bingo, pop along to the Gold Rush Room and participate in the Escalator Jackpot! Note that the Gold Mine Escalator is a community jackpot so, once the game is won, half of the prize money goes to the winner while the other half is split between everyone who bought a ticket. Log onto Mecca Bingo for the full details. Fantastic Fridays – another one on the 25 May. More chances to win a Mini, £10,000 in Superbooks jackpots, free cashline games (all day too) and free bingo games with a whopping £1,000 up for grabs. Its well worth noting that throughout all of May the Newbie Room is continuing to allow new players to join in and learn all about playing bingo at Mecca Bingo! You can play in their for 5 days once you join, commencing from the Monday after you join. And all games during those 5 days are free! Log on to grab the finer details. Its pleasing to note also that only the most experienced and friendly CMs are on hand in that room during those days – that way you’re sure to have any, and all, of your questions answered straight away. Play Britain’s Got Talent – if you’re a fan then you can really look no further. Play this exclusive Mecca Bingo game (as well as maybe the Britain’s Got Talent Superstar slot). You can win up to 6 cash prizes. There’s more though to discover about and win with Britain’s Got Talent at Mecca Bingo – log on to find out what! This entry was posted in Online Bingo News and tagged Mecca Bingo on July 17, 2012 by SuperAdmin.